At the intersection of Routes 100 and 222 in Trexlertown, travel south on Route 100, approximately 4.0 miles make a right onto S Church Street, go one block, make a right onto Locust Street and the borough hall building is on the corner of Church and Locust Streets. A parking lot at Borough Hall is accessible from Locust Street. 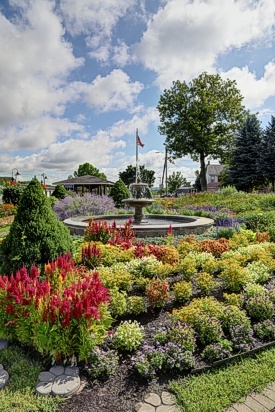 At the intersection of Routes 100 and 29 in Upper Milford Township, travel north on Route 100, approximately 2.2 miles make a left onto S Church Street, go one block, make a right onto Locust Street and the borough hall building is on the corner of Church and Locust Streets. 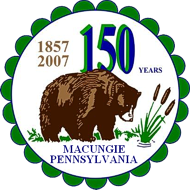 The Macungie Institute is located one block east on Main Street (Route 100), Macungie from the intersection of Chestnut Street and Main Street (traffic light). At the intersection of Routes 100 and 222 in Trexlertown, travel south on Route 100, approximately 4.4 miles, The Macungie Institute will be on the right side of Main Street (Route 100), Macungie at Sycamore Street. Parking is to the rear of the building accessible by turning onto S Sycamore Street and left onto Hickory Street. At the intersection of Routes 100 and 29 in Upper Milford Township, travel north on Route 100, approximately 1.73 miles The Macungie Institute will be on the left side of Main Street (Route 100), Macungie just passed Buttonwood Street.